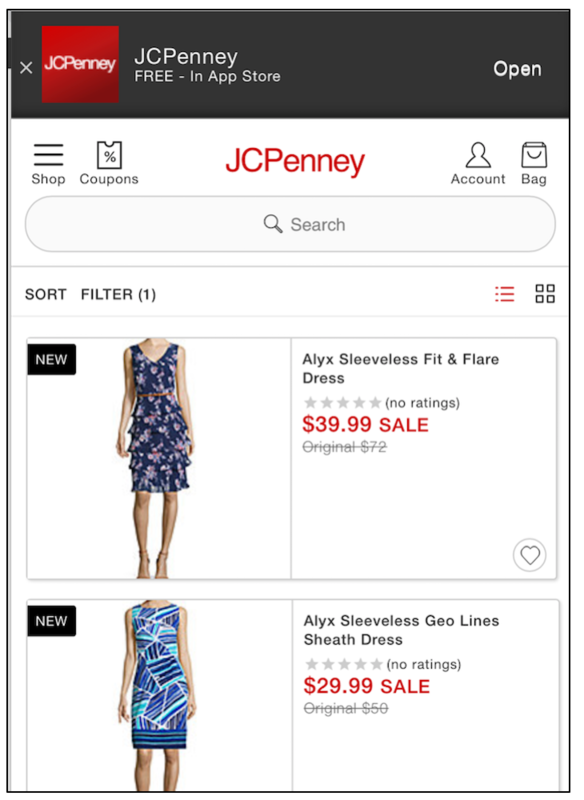 Does Your Mobile Site Use Overlays/Interstitials? Know The Issues With Google Organic Search. Google has announced that on January 10,2017, they’re launching an algorithm change to mobile search results that may result in lowered rankings for mobile pages that use overlays or interstitials. What? Don’t all mobile pages use overlays and interstitials? How are sites supposed to make money/get email signups if they can’t use them? Read on for more details and steps you can take to make sure your site isn’t negatively impacted (and can still make money/get email signups). Is Google going to penalize my mobile site for having popups? Maybe. They’ve said that pages “may not rank as highly” in mobile search results if the content on those pages is obscured by a popup that the visitor has to dismiss. What exactly does Google consider popups that obscure content? Google is only looking at the page that the visitor loads when clicking from a Google mobile search result. If your mobile site is set up to only show a popup on the second page view (or later), then none of this applies. The content is visually obscured by an overlay/popup (that automatically disappears after a certain number of seconds or that the visitor has to click to dismiss). Google has said that both popups that appear right away and those that appear while the visitor is looking through the page are problematic. The site shows an interstitial page that the visitor has to click through in order to access the page with the content. 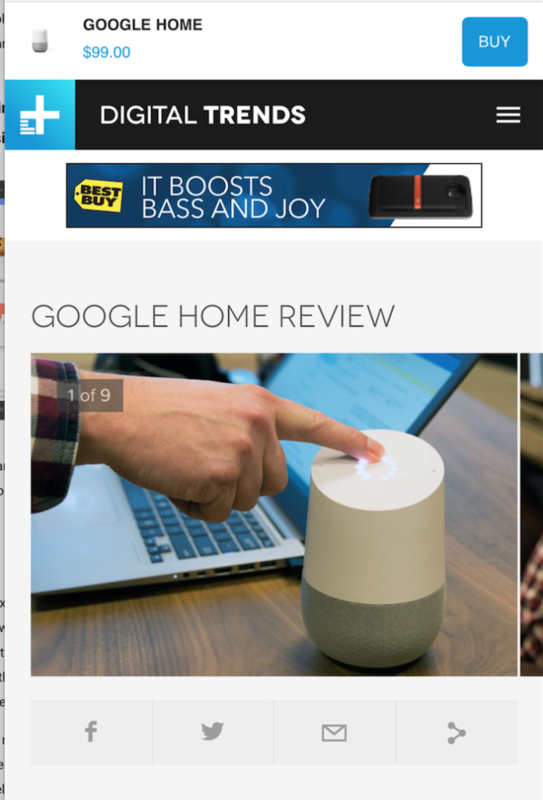 All of the “above the fold” space is taken up with what appears to be an interstitial but the visitor can scroll down on the page to access the content. What kinds of popups has Google said are OK? 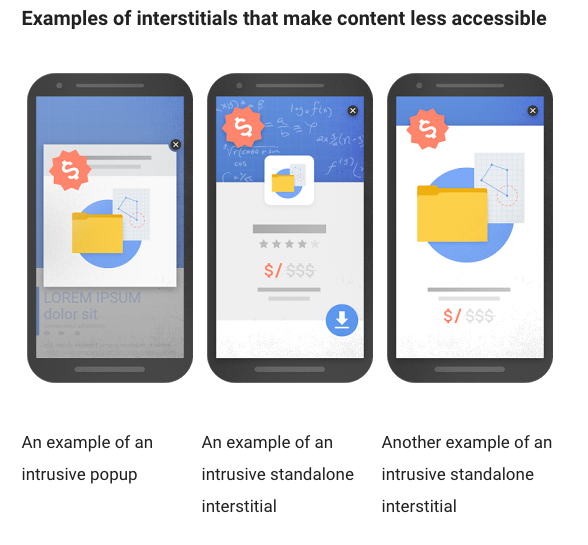 The blog post notes that Google previously demoted pages with interstitials asking users to install a mobile app and that this change is a broadening of that to “focus on interstitials more generally”. 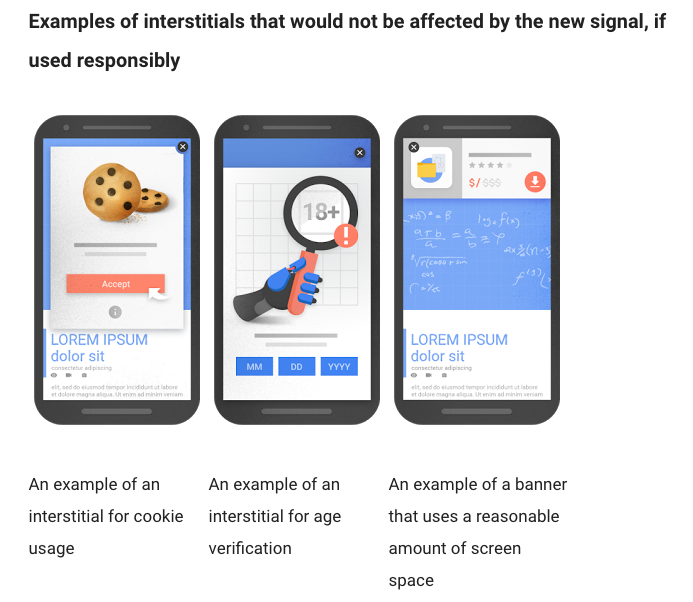 When Google launched that algorithm change, they recommended that “instead of full page interstitials”, mobile pages use “more user-friendly formats such as app install banners”. 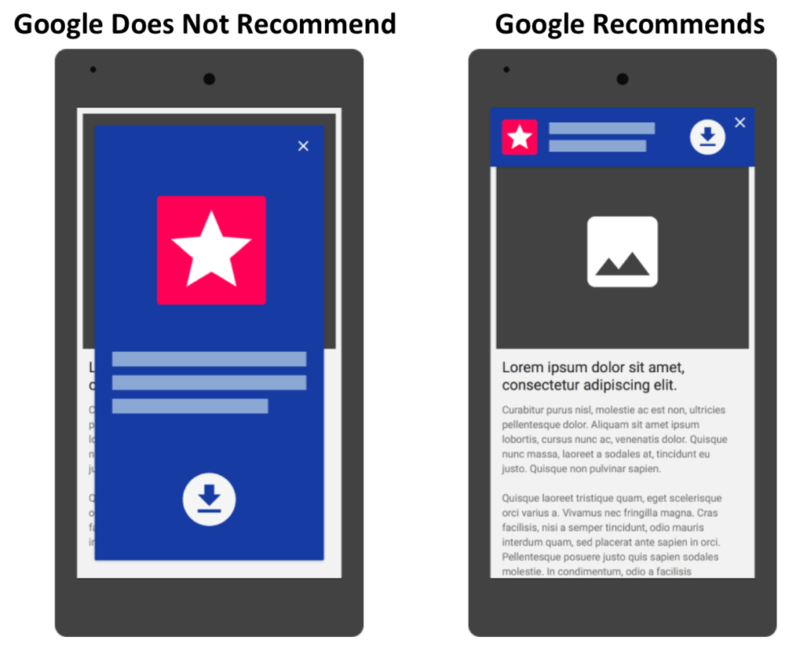 And Google’s blog post then about mobile app installs used the same examples as their more recent blog posts about more general overlays: the Smart Banners and Native App Install Banners used by Safari and Chrome, respectively. That earlier blog post recommended banners that “don’t block searchers from viewing the page’s content”. I’m not showing an ad in my popup. I’m just asking visitors for their email address or asking them to like my page on Facebook. Is that OK? Think of ways to incorporate the content of the overlay into the page itself or use a smaller banner. Are prompts for choosing a language/country OK? “It’s fine to have a language-picker page, but your normal pages shouldn’t have interstitials / overlays for language or country selection. There’s some more about how to set this up at https://webmasters.googleblog.com/2014/05/creating-right-homepage-for-your.html. So the home page of the site could show a language selection page, but that other pages should not. If your site includes separate pages for each language/country, Google wants to rank the most relevant one for the searcher (not send the searcher to a general version that the searcher must then select from to reach the relevant version). As the blog post he links to describes, you could include text (or a menu) or a small banner on each page that enables the visitor to change languages/countries. So exit overlays and overlays on any page after the fist one aren’t considered. Only some of my mobile pages have overlays. Will my whole site lose ranking? Google has said that this is a page-level calculation. So if only some mobile pages trigger an overlay, only those specific pages may lose ranking. My mobile pages use overlays because ads are how my site makes money. I can’t just stop serving ads! If you want to make sure that your mobile pages don’t lose ranking, you’ll need to be creative about serving ads that don’t obscure content when searchers click to the site from mobile search results. 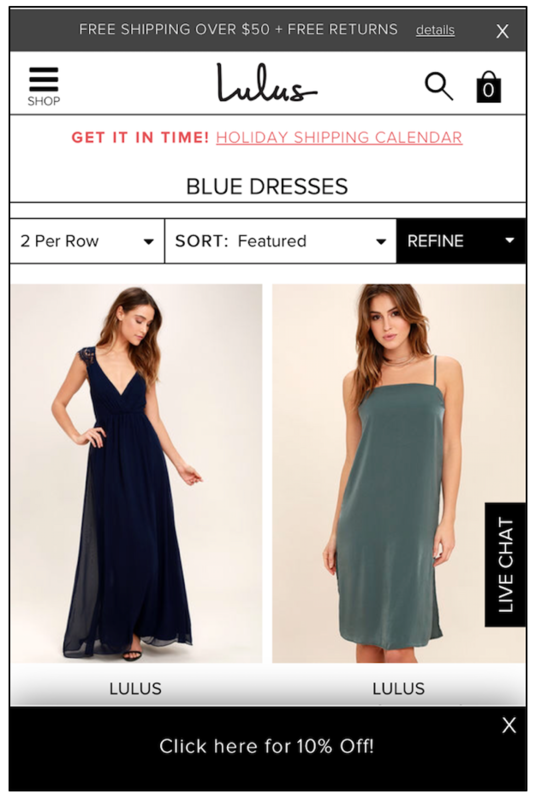 Replace the popup ad (at least the one served on the first page view for visitors from Google organic mobile search) with a smaller banner (as shown in the illustration above). 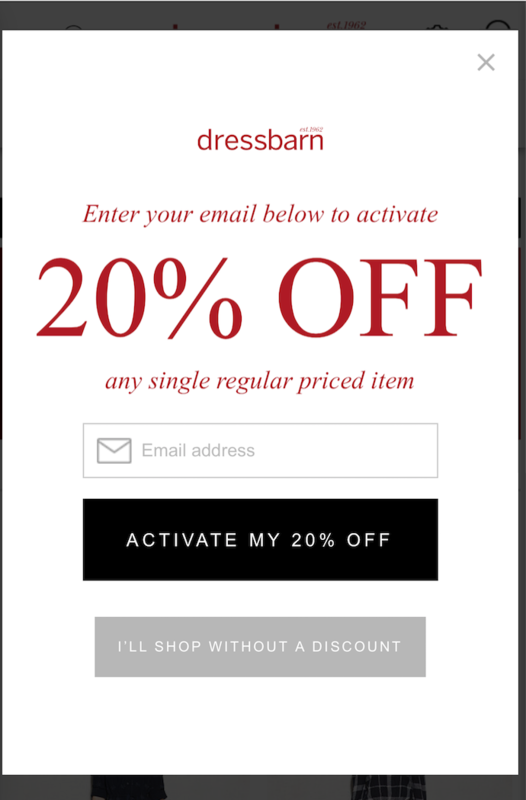 Replace the popup ad and replace it with an ad integrated into the page itself (either below the fold or as a smaller ad above the fold). Great. 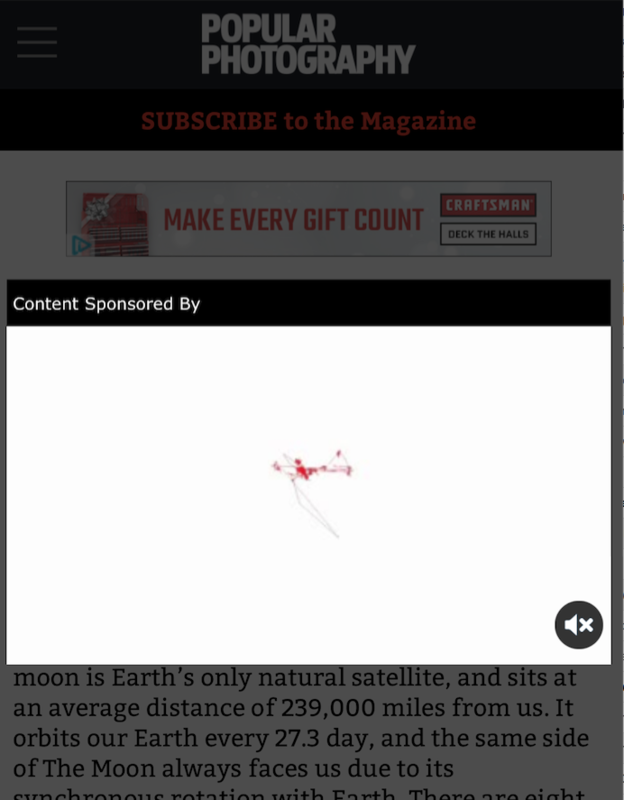 I can just move the ad in the overlay to the content itself? You can, but you will probably need to make the ad smaller and put it below the fold. Google’s “page layout” algorithm may lower the ranking of pages with too many ads above the fold. Basically, this algorithm targets pages that require the visitor to scroll past the ads to get to the content. Google hasn’t addressed them directly and you could interpret what they have said in one of two completely opposite ways. Hopefully they will clarify, but in the meantime, my guess is that this change will only impact popups or pages that show only interstitial-type content above the fold (take 1 below). 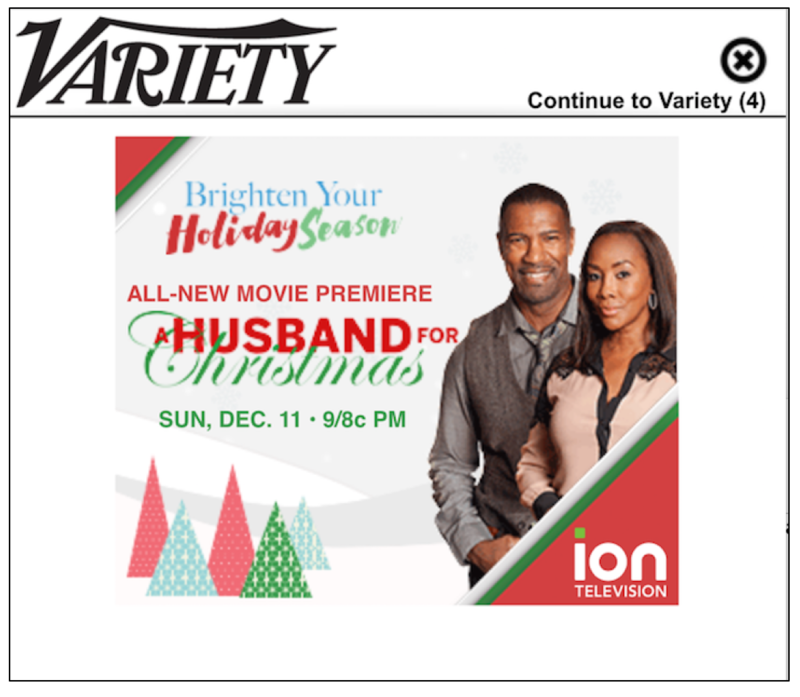 But if you want to take a conservative approach, you might avoid interscroller ads for now (take 2 below). Take #1: As long as the ad appears below the fold, then it’s OK. The ad doesn’t obscure the content when the visitor clicks from search results and appears inline, just like other types of ads, as the visitor scrolls. Take #2: Since this ad takes over the entire screen, it’s no different than an overlay that appears “while they are looking through the page”. So it’s not OK. Does this change impact desktop search? Not directly. This algorithm change is targeted at mobile search results only. If the page only triggers a popup on desktop and not on mobile, then neither your desktop nor mobile search results will be impacted. However, Google has announced that they are moving towards “mobile first” indexing. Currently, when Google indexes a page, it aggregates indexing and ranking signals for that page based on the desktop version. The mobile version “inherits” those signals, then gets additional mobile-only signals. With mobile-first indexing, indexing and ranking signals will be based on the mobile version of a page and the desktop version will inherit those instead. While Google is still working on the specifics of how this will all work (they plan to launch this change sometime in 2017), mobile signals will gain importance once they form the basis for both mobile and desktop results. Can you point me to some examples of what types of overlays might cause my mobile pages to lose ranking with this change? The examples below are based on my interpretation of Google’s announcement. I don’t have any particular knowledge about these sites. I just did a few mobile searches and clicked on the results. How about some mobile pages that incorporate ads or email signups that won’t be negatively impacted by this change? Again, I don’t have any particular knowledge about these sites. I looked for pages with ads/banners that use a “reasonable amount of screen space”. Here’s a dismissible banner that doesn’t obscure the content (and that has a compelling call to action vs. just a request for an email address). 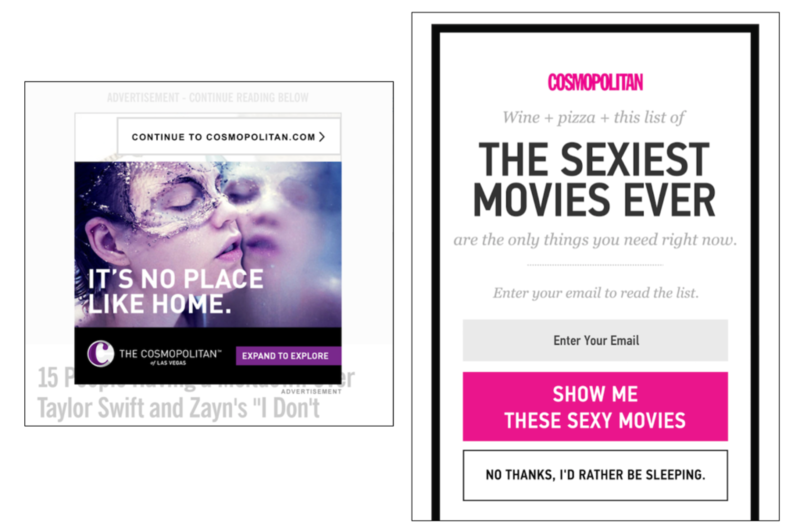 Have other questions about mobile interstitials? Post them in the comments! Want to monitor how this change impacts your site? Sign up for Keylime Toolbox to track changes in mobile vs. desktop ranking for Google organic search by keyword and keyword categories. Send any questions about how Keylime Toolbox gathers metrics and tracks changes to hello@keylimetoolbox.com.